Although most of us agree that relying (at least partially) on alternative fuel is good for the planet, most of us are still confused about how to go about implementing alternative power sources in our own homes. 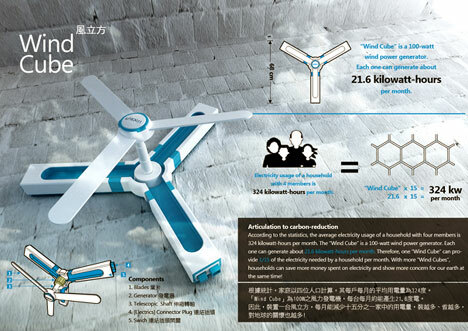 The Wind Cube concept from designers Liao-Hsun Chen and Wen-Chih Chang would make it easy to convert homes to wind power with little more than a screwdriver. The little fans attach to the outside of a house with three screws and activate with a power cord and a switch. Just like large wind turbines, they generate power when they turn, then feed it into the house’s power supply. An array of fifteen of these little fans can provide enough power for the home of a family of four: about 324 KW each month. The array is connected in a honeycomb kind of configuration that makes the entire structure stronger. 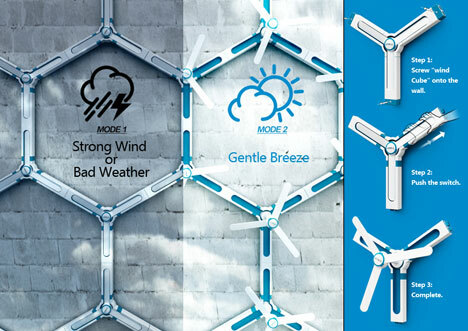 If ultra-strong winds threaten to rip the turbines right off of the wall, the blades can be pushed in to be nearly flush with the wall, protecting them until calmer weather. 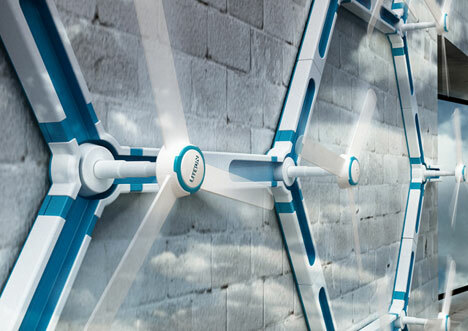 There is no information yet on just how affordable these energy-generating fans would be, but they would definitely provide a significant savings in utility costs. 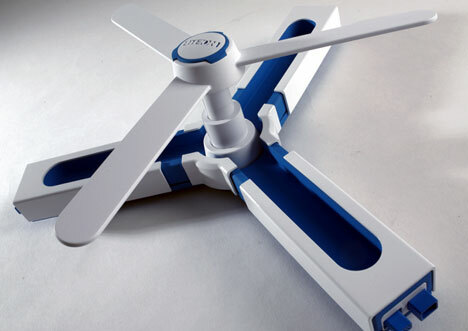 And it has to be said that these futuristic-looking fans would make just about any home exterior look way cool. See more in Energy & Power or under Science. December, 2010.